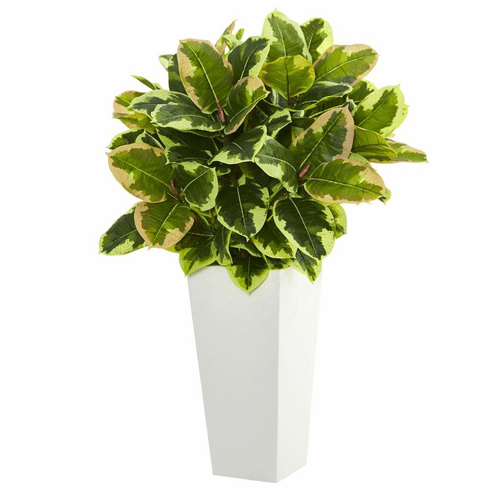 The thickly packed broadleaf foliage give this 32� artificial rubber plant a distinctly realistic look that practically begs to be placed in a spot of prominence, whether in front of a sunny window or in a grand entryway. Comes complete in a white tower planter. Size: Height: 32 In., Width: 24 In., Depth: 24 In.